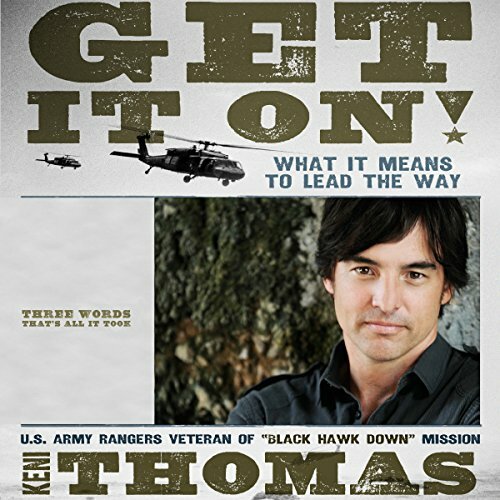 Showing results by author "Keni Thomas"
Decorated U.S. military veteran-turned-country musician Keni Thomas gives a personal account of his heart-wrenching experiences in the chaotic 1993 Battle of Mogadishu to express a unique set of leadership lessons and inspired view of our greater purpose. Get It On! reminds listeners "that we, as individuals, do indeed matter, that we are anything but ordinary, fully capable of carrying out life-changing assignments at any level and in any situation. We can make a difference in this world."